A family run company based in Charleston, South Carolina and crafted in small batches, Jack Rudy Cocktail Co aim to take long forgotten staples of the American bar and reinvent them, in an effort to drink like 'Jack Rudy' and our great-grandparents of old. Jack Rudy Small Batch Tonic is essentially a quinine concentrate. Designed to pair with your favourite Gin or Vodka and stretched with soda water to make a bright, light, refreshing highball. A completely clear liquid which makes a perfectly balanced, crystal clear G&T, with the gin's botanicals at the forefront. 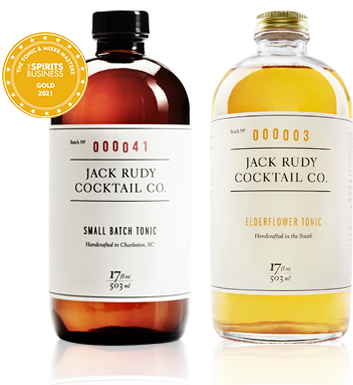 Jack Rudy Cocktail Co. Elderflower Tonic continues the legacy with an updated tonic formula. With more body and a bold finish, it pairs well with tequila, bourbon and rum, as well as the traditional gin. 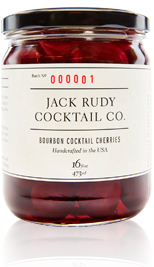 When updating the cocktail cherry, Jack Rudy Cocktail Co. looked to their Kentucky roots for inspiration, combining Bourbon from their home state with stem on, de-stoned, whole Bordeaux cherries from Oregon. Try just one and you might agree, they are the best cocktail cherries you have ever tasted. 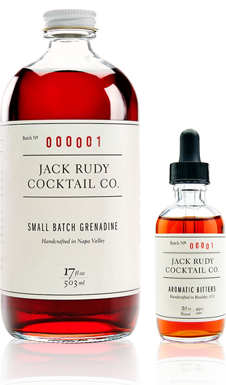 Jack Rudy Small Batch Grenadine, made from fresh pomegranate fruits, is rich and full-flavored up front then giving way to a bright, almost tropical finish that lifts a drinks profile. No artificial flavours, a quality natural back bar ingredient. 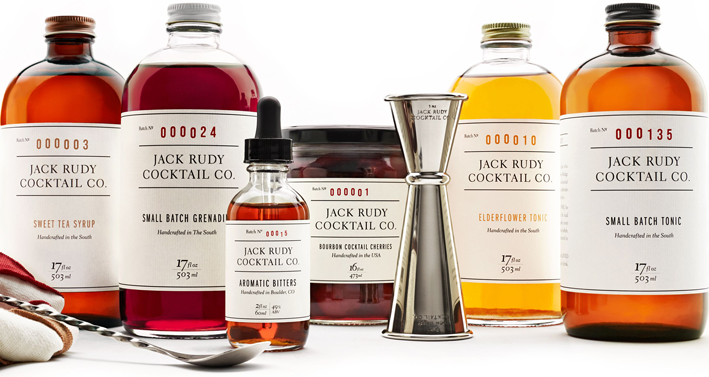 With burnt cane sugar syrup as a base, The Jack Rudy Cocktail Co. Aromatic Bitters have complex and nuanced notes of citrus, winter spices and bittering agents, to create a product with many uses.